DxtER is the winner of the XPRIZE Foundation's contest to create a functional tricorder. 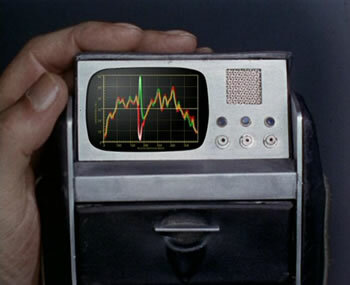 You remember the tricorder, don't you? A staple of the Star Trek universe, easily recognized by fans who thought this was a great idea in the 1960's, and why don't we have these? Well, we're pretty close, thanks to the Final Frontier Medical Devices team. The device kit developed by Final Frontier, called DxtER, uses non-invasive sensors that collect data from the user and combines that with an AI frontloaded with information in the field of clinical emergency medicine to come with a diagnosis. The device currently operates on an iPad tablet, but future versions should work equally fine on a smartphone as well. The device, ideally, would allow patients to then send their readings to their doctors so they could collaborate on their health care. According to an interview Harris held with the Washington Post, DxtER can diagnose up to 34 medical conditions in its present design. The device developed by Dynamical Biomarkers could reach up to 50, team leader and Harvard Medical School professor Chung-Kang Peng, told the Post, given it surpasses the five-pound weight limit imposed by the competition guidelines.